The rocket awaiting launch this morning is the SpaceX Falcon 9, a two-stage vehicle topped by the company’s uncrewed Dragon spacecraft. The Falcon 9 first stage is powered by nine Merlin engines that ignite at T-0; its second stage has a single Merlin engine that takes over after separation of the first stage. Merlin engines, also built by SpaceX, run on a combination of cryogenic liquid oxygen and a refined kerosene fuel called RP-1. 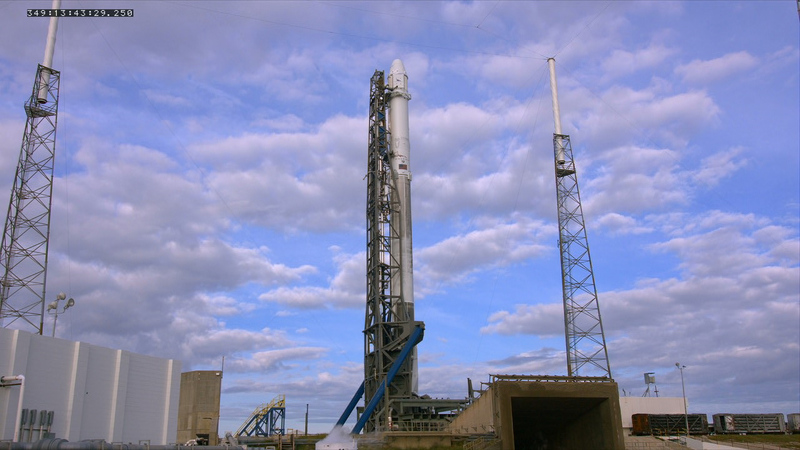 Installed atop the rocket, the Dragon spacecraft is loaded with cargo bound for the International Space Station. The Dragon offers a pressurized section as well as an unpressurized “trunk” section for additional cargo. Also located in the trunk are the spacecraft’s power-producing solar arrays, which will open shortly after Dragon arrives in orbit. Read more about the Falcon 9 rocket and the Dragon spacecraft.